HOW LONG WILL MY HALO LAST? Depending on how often the piece is being worn as well as the care given to the HALO Extensions, it should be lasting 9 months or longer. Being that this is a Human Hair product there is not a guaranteed time frame that the Halo® Extension will last. This is an estimate based on the best quality care being given to the Halo® Extension. 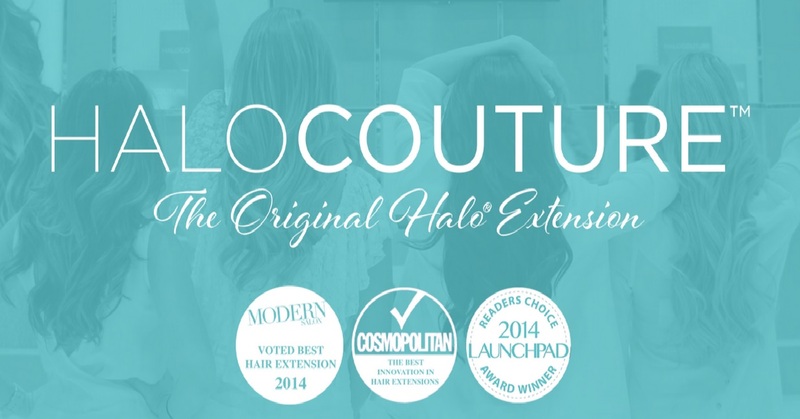 Your HALOCOUTURE Extensions is custom fit and sits on top of your head like a halo. The miracle wire sits about an inch to three inches behind your hairline and the back of the hair extensions slides down just under the occipital bone. The perfect fit will be snug and comfortable and will ensure no movement of the Halo® Extension. After you gently pull your hair out and over to cover your entire Halo® Extension, including the miracle wire, the weight of your hair lying on top of the Halo® Extension, will keep it secure and in place. You will be able to shake your head without your extensions coming off. 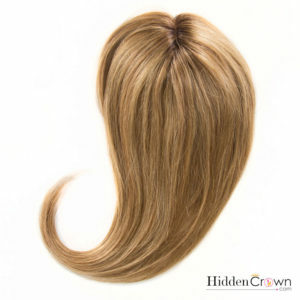 Our Top of head hair extensions are offered by Halo Couture, Hidden Crown and Dream Catchers Extensions. 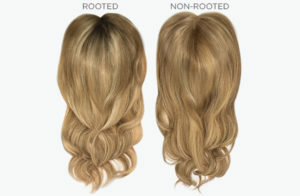 Upon consultation with your artist you will be color-matched and choose between rooted (darker root area) and non-rooted. 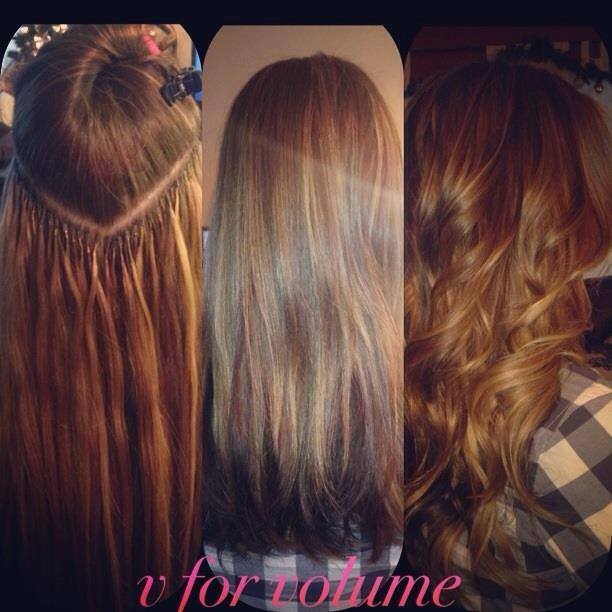 Top of Head extensions come only in one length. Ends are tapered and finish soft to blend into long length of hair. too long? they can be cut to match length or layers. 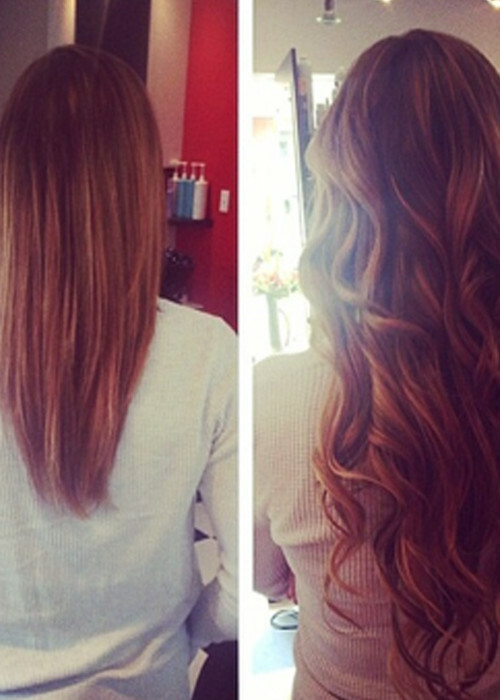 Until now, hair extensions have been messy, damaging, costly and a mediocre product at best. From Nightmares to DreamCatchers – we show you the facts. You decide the rest. 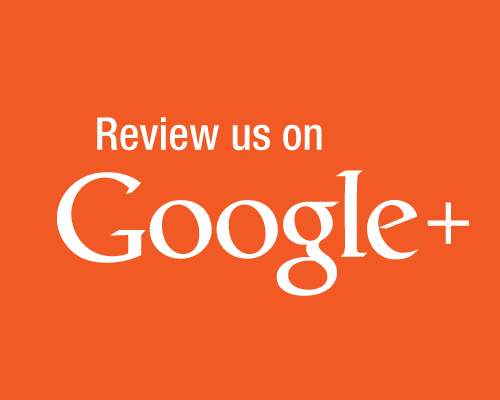 In our experience the quality of the hair is the most important factor in the hair extension business. With DreamCatchers our hair is a unique blend of “REMI” European hair, so the color you see it is the color we buy it! Our hair quality is truly amazing and you wouldn’t want to throw this hair away, so we have come up with a tipping system (exclusive to DreamCatchers) that is made of a polyurethane or a rubberized material which allows you to re-use the same extensions month after month (in some cases 2 years or more), so your clients get the extended enjoyment of amazing looking hair. Unlike the glue in systems which are usually dipped in silicone, which creates the illusion of silky shiny hair and after a few washes the silicone is washed out and the performance of the hair drops off dramatically- with DreamCatchers the hair is of such a premium quality that they perform without losing their luster. The best quality hair extensions in the world! 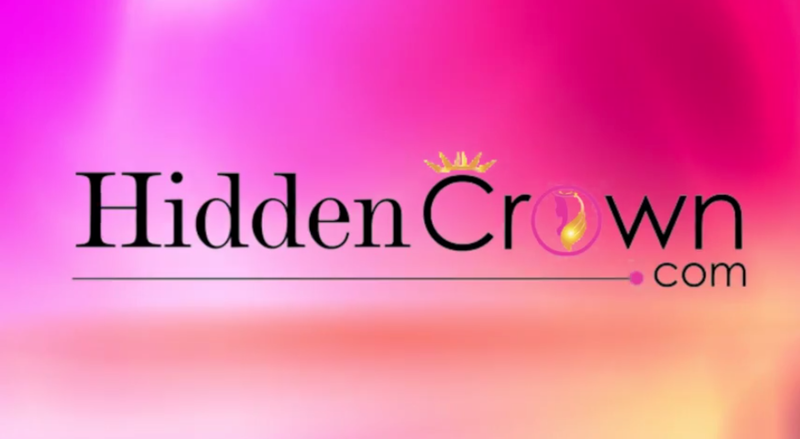 The secret to gorgeous hair is in the quality, therefore we only use 100% selected human hair. It creates that natural look as if it was all your own hair. The quality is unmatched by any other extension on the market, and in most cases, is often better than your own hair. 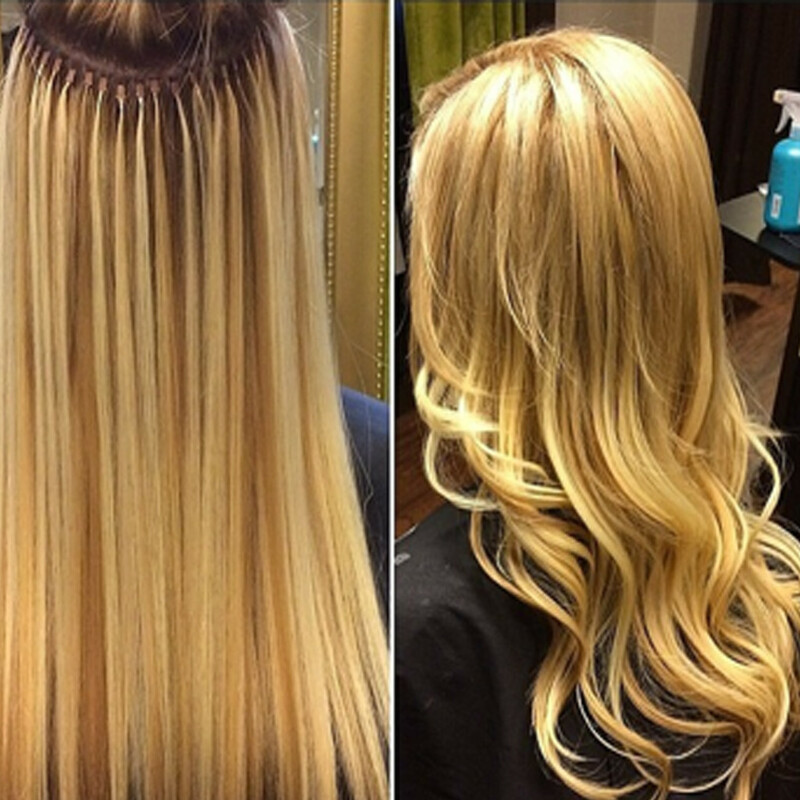 Our extensions have a luster and shine that never diminishes. You will be amazed! Dreamcatchers are no ordinary hair extensions, made with the finest hair it can be styled, permed and colored allowing you to treat them as you would your natural hair. 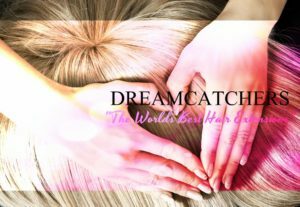 Dreamctachers will enable you to transform the appearance of fine, thin and short hair into thick, long, beautiful looking hair. Whats more, we don’t use ANY glues, adhesives, chemicals or weaves to install so there is NO DAMAGE! Dreamcatchers Micro-cylinder™ technology: is clean, easy and non-damaging. Our system is incredibly simple and efficient. The technique and maintenance program that is revolutionizing the hair extension industry: Our extensions are reusable giving you sustained enjoyment of beautiful hair. FINALLY stylists can offer excellence to you! Appointment times vary with your current hair’s thickness and what type of extension service you’re having. Usually, 3 hours for the initial appointment (average full head) and approximately 1 hour for adjustments. Your own hair and extensions will feel amazing, healthy and gorgeous!! OTHERS • Most hair extension companies use glues, waxes, weaves or clips which are: messy and can damage your own hair. 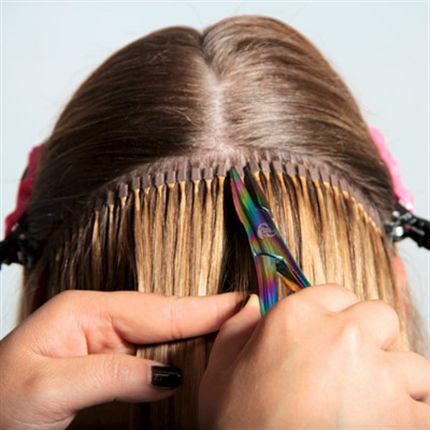 Your time in the chair is lengthy (6-8 hours) and work required by stylists is laborious and time-consuming. OTHERS • Throwaway, cheap, poor quality hair usually from India: designed to be disposable. The hair is black in color and has to be repeatedly bleached to lighten which dramatically deteriorates its quality and look. How many blondes do you see in India? Poor quality hair extensions means cheap-looking results. *Pricing includes minimum hair required to perform service. Hourly Rates apply when new hair is not purchased. Our prices are based on the training, experience and ongoing development of our team. RETURN POLICY:Due to Human Hair industry standards, extensions are a Final Sale product with no refunds or returns. 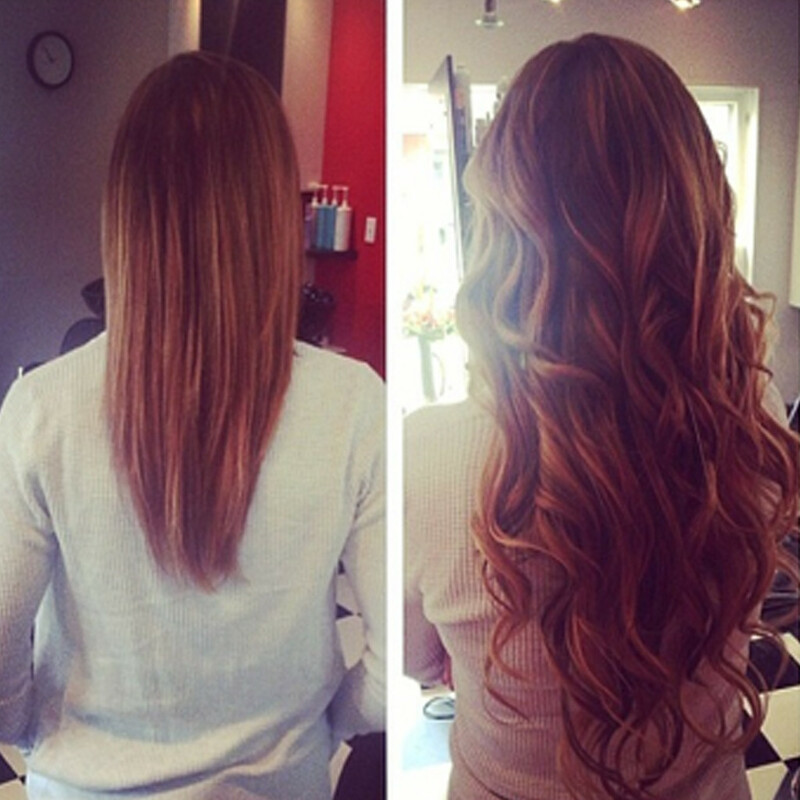 Due to Human Hair industry standards the Halo Extension is a Final Sale product with no refunds or returns. CAN I COLOR MY EXTENISONS? Yes, you can deposit color. 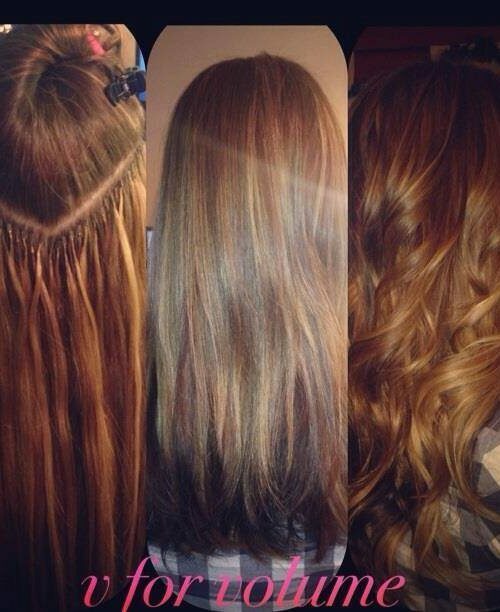 Because our extensions are 100% Remy human hair, your artist may color as you would your own hair. 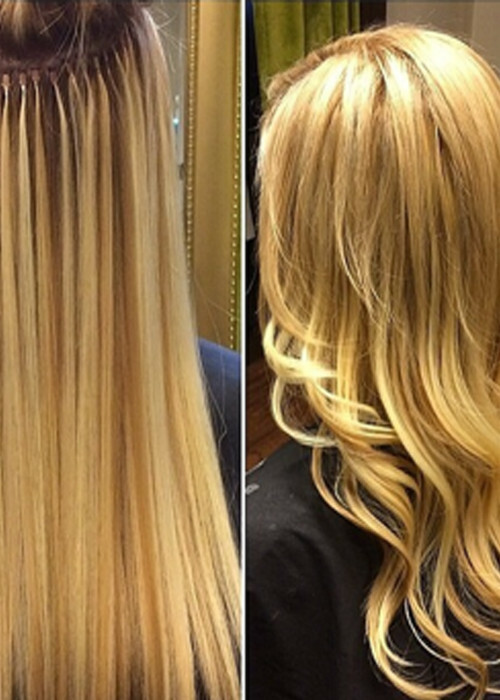 We do not recommend stripping extensions of color (bleach or lightening). We can not guarantee the outcome of this and it could dry out or possibly ruin your extensions. Perming is also NOT recommended.